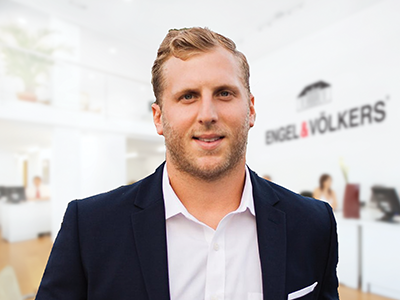 Engel & Völkers Florida announces its new real estate shop location in the prime 30A Beaches market, strengthening its existing presence in the Florida Panhandle. The new location is led by partner, Beau Blankenship, a former real estate advisor with Engel & Völkers Destin and NFL Running Back for the Jacksonville Jaguars. Blankenship has continued to set himself apart as one of the leading agents in the area since 2016, when he increased his sales nearly 70% in one years’ time. The new shop, located at 3557 E CO HWY 30A Santa Rosa Beach, is managed by Brian Beasley and will serve the markets of Santa Rosa Beach, Dune Allen, Rosemary Beach, Gulf Place, Grayton Beach, Seaside, Blue Mountain Beach, Alys Beach, Seacrest Beach, Blue Mountain, Watercolor, Watersound and Seagrove Beach. To accommodate additional real estate advisors, Blankenship plans to open an additional nearby location in early 2018.
communities, each boasting a wide array of architectural designs and promoting a family-friendly, “New Urbanism” lifestyle. This area, once considered the “best kept secret of the south,” has quickly become well known to surrounding states, bringing visitors by the masses, and with that – confident home-buyers and investors. Engel & Völkers Florida continues to strengthen and expand its presence in premium real estate markets across the state. Currently, there are multiple locations across Florida, including: 30A Beaches, Belleair, Bonita Springs-Estero, Cape Coral, Clermont, Clearwater, Delray Beach, Destin, Fort Lauderdale-Las Olas, Jupiter, Key West, Leesburg, Madeira Beach, Marathon, Marco Island, Melbourne, Miami-Coral Gables, Naples, Orlando-Winter Park, Palm Beach, South Tampa, Stuart, Sunny Isles Beach, Wellington, and Windermere. If you would like to get to know more about the Engel & Völkers brand or being a part of its global network, which is known for demonstrating competence, exclusivity and passion, feel free to stop in any local shop or call our corporate office, located at 975 6th Ave S, Suite 104 Naples, FL 34102-6753 USA. Tel: +1 239-348- 9000.